« What is Almond Flour? Starting in late December, pastry shops in Paris start jumping the gun, and windows and showcases begin filling up with Galettes des rois, or King Cake, in anticipation of the celebration of Epiphany, on January 6th. Because it’s such a popular treat, and lucrative for bakeries, the period of availability seems to extend a few more days every year and it’s not unusual for find bakeries peddling them until the end of the month of January. It’s hard to blame them (and those of us who buy them) because they’re so good. Years ago, I used to bake them when I worked in restaurants, and they’re called Pithiviers, named for the town in the Loiret (south of Paris) where they allegedly originated. There are two kinds of King Cakes in France; one is layers of puff pastry filled with almond cream, and the other is a circular yeasted cake, more popular in the south of France, festooned with colorful, sticky candied fruit. 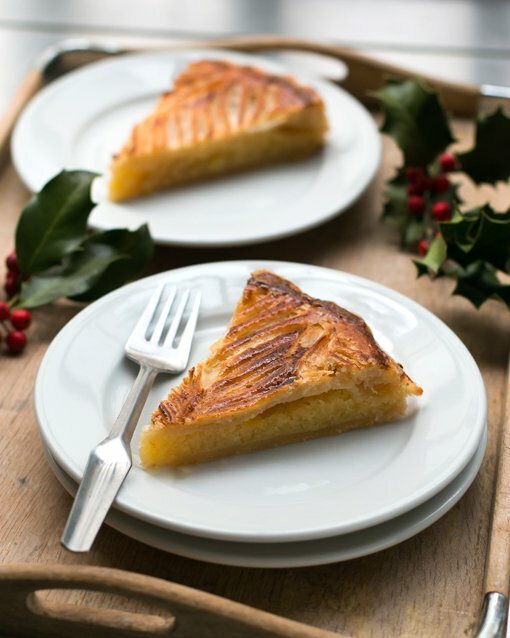 Although the ones from the south look more festive, there’s something appealing about munching on flaky, buttery puff pastry with a layer of crème d’amandes stuffed inside. (Some use almond cream enriched with a bit of pastry cream, which is easier if you have a bakery, where pastry cream is often on hand.) The good thing about making your own is that you can dial up the almond filling. Plus every year, in addition to extending the period of availability, prices seem to nudge up and I’ve seen some jaw-dropping prices in bakery windows. On the other hand, some bakers get creative and use hazelnut or pistachio flour instead of almond, or perfume their galettes with rose, candied kumquats, and even chocolate. Taking liberties with tradition is a tricky thing in France as it’s not always a good idea to mess with a good thing, but it is tradition to bake a fève (bean) into the tart and whoever gets the bean (preferably a child – and crafty parents have learned to cut around the pieces to make sure a kid gets the trinket!) gets to be the roi (king) for the day and wear a gilded paper crown that bakeries often give with the galettes. Nowadays les fèves come in all shapes, sizes, and materials. Cartoon characters are popular in France, as are French historical or religious figures. And upscale bakeries like Pierre Hermé, Ladurée, and Aoki, have annual fèves that change. Not only is it fun to see them, but some have become quite collectible. 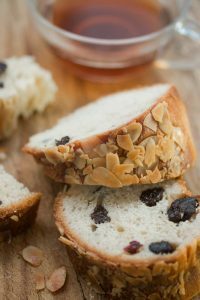 Elsewhere, it isn’t considered a wise idea (ie: hiding things in baked goods) that can be dangerous to young folks if swallowed, so if you want to join the tradition and add a fève, you should be more prudent and use a whole almond or a piece of dried fruit instead. Because who doesn’t want to be king for a day? 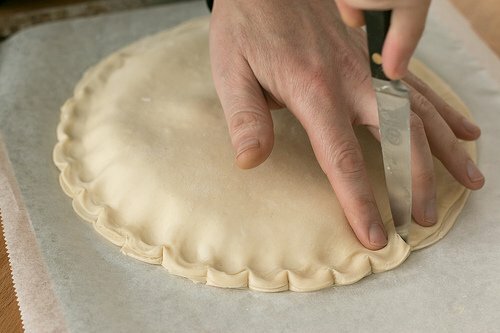 When working with puff pastry, it’s important to keep it well-chilled and work quickly when rolling as it tends to get stubborn as it warms up. Keep the second piece in the refrigerator until after you’ve rolled out the first. After rolling, brush off any excess flour. 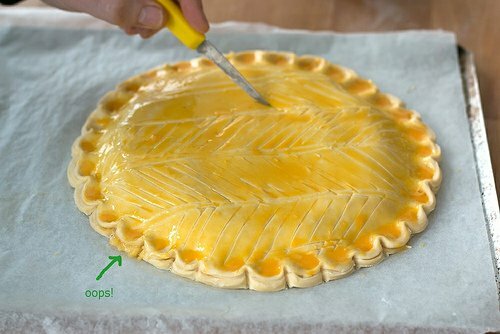 And make sure to seal the edges really well to avoid the filling leaking out.Frozen puff pastry can often be found in the freezer section of well-stocked supermarkets. Avoid brand that list fats other than butter in the ingredients for best results. 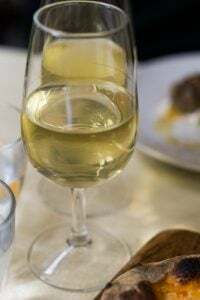 If you don’t want to use alcohol, simply omit it or use a few drops of orange flower water in its place.A few people noted in the comments that some of the butter ran out of the tart during baking. 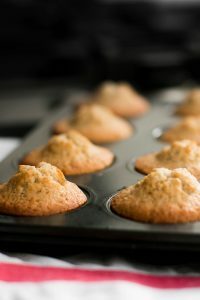 Although I don’t do it, some recipes advise that you can add 2-3 teaspoons of cornstarch to the almond filling, which you are welcome to do as extra insurance. 1. To make the almond filling, in a medium bowl, or in the bowl of a stand mixer, combine the almond flour, sugar, salt, and orange zest. Mash in the butter until it’s completely incorporated. Stir in the eggs one at a time, along with the rum and almond extract. (The mixture may not look completely smooth, which is normal.) Cover and chill. 2. Line a baking sheet with parchment paper. 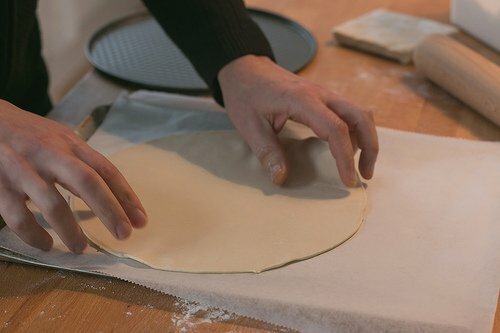 On lightly floured surface, roll one piece of puff pastry into a circle about 9 1/2-inches (23cm) round. 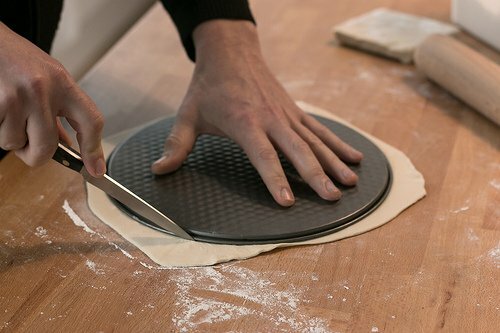 Using a pot lid, plate, or bottom of springform pan as a template, trim the dough into neat circle. Place the dough on the baking sheet. 3. Cover it with a sheet of parchment paper or plastic film, then roll the other piece of dough into a circle, trim it, and lay it on top. Chill the dough for thirty minutes. 4. Remove the dough and almond filling from the refrigerator. Slide the second circle of dough and parchment or plastic from pan so that there is only one circle of dough on the parchment lined baking sheet. 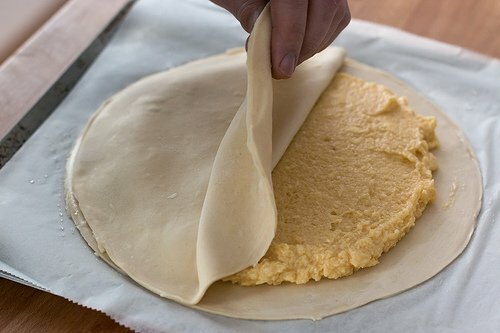 Spread the almond filling over the center of the dough, leaving a 1-inch (3cm) exposed border. Place an almond or piece of candied fruit to act as the fève (prize) somewhere in the almond filling, if you wish. 6. To bake the galette, preheat the oven to 375ºF (180ºC.) Flute the sides of the dough (as shown in the photo) and use a paring knife to create a design on top. Stir together the egg yolk with the milk and brush it evenly over the top – avoid getting the glaze on the sides, which will inhibit the pastry from rising at the edges. Use a paring knife to poke 5 holes in the top, to allow steam escape while baking. 7. Bake for 30 minutes, or until the galette is browned on top and up the sides. 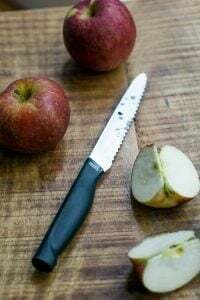 (During baking, if the galette puffs up too dramatically in the oven, you may want to poke it once or twice again with a paring knife to release the steam.) Remove from the oven and slide the galette off the baking sheet and onto a cooling rack. The galette will deflate as it cools, which is normal. Serve warm or at room temperature. This is one of my favorite cakes of all time! I just love the combination between puff pastry and almond cream. I once tried adding whole cherries to the cream and it turned out great as well. As always – your pics are so pretty! I know this is quite un-related to your post, but I have recently been accepted into the pastry course at Ferrandi, in paris, and I was hoping I might be able to have your email address so I could ask you a few questions about moving to Paris ( I have already read your very helpful FAQ page) I understand that you are very bisy and I appreciate that you may not have time to help me, but if you do I would be very grateful. David, this is not related to your post but what is your opinion on chocolate cake with l’huile d’olive? What an interesting tradition! I never knew that these lovely pastries existed. The almond cream sounds divine. 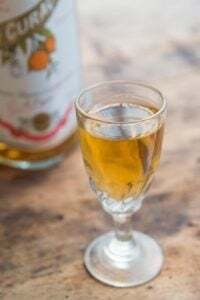 I would love to have a little tot of amaretto alongside a slice – yum! I agree with almond cream winning over dried fruit… This sounds so buttery and delicious, can’t wait to try! What a beautiful King Cake! I don’t think I ever realized what was inside one of these, as in the almond filling! And it sounds delicious. The feve inside is so much fun. Just the recipe I’ve been wanting–thank you! At the point the cake can be chilled before baking, do you think it could be frozen? The Northern version sounds better to me, I’ll take flaky crust over yeasted dough any day, but it occurs to me also that the New Orlean’s Madri Gras King Cakes are based on the Southern version. Interesting. Aloha David — Since this recipe involves puff pastry, I am reminded to ask if it can be used for a kouign amman? I’ve tried to make them here in Maui, but in our usual 85 degrees it just isn’t going to happen. I was hoping puff pastry might be an alternative. Mahalo! This looks fantastic, and fairly easy to make if you buy the pastry. I had a fabulous chocolate version once, and will try to make it! I’m from New Orleans so I adore that style of King Cake. I tried to make one of these gorgeous almondy ones 20 years ago and failed miserably, but I’m ready to try again with your recipe! Thanks, David! Oh, a homemade galette des rois! So pretty. I need to make this soon. I really enjoyed reading this – I had always wondered why they were called king cakes and I learned quite a bit this morning. :) This looks like a remarkably easy yet impressive dessert that I’m definitely going to give a go. Thank you for sharing the recipe! Mmmm – my galette des rois is waiting to be eaten tomorrow – I made it using Clotilde’s recipe (her filling very similar to yours but uses a little hazelnut meal too). Yours is (of course) much prettier than mine – need to work on my scoring skills (but none of my filling escaped – miraculously!). Enjoy yours! Thank you for this approachable recipe! I made several January trips to Paris for my birthday (9th) and adopted this as my birthday cake. I would find a cafe or bakery where I could sit and enjoy a slice with coffee as a late afternoon pick me up. One trip I even brought one home with me along with the cardboard crowns. I will be adding this to my menu this year for sure! Bonne anniversaire à moi! Thank you so much for posting this recipe? Takes me back to when I studied in Dijon. I’m going to try this next weekend. Do you have a favorite puff pastry recipe that you use for this galette? Or do you purchase one from the store? Just made my Galette des Rois today. I wish I had seen this recipe first. The one I attempted was a mistake. Had to infuse milk with vanilla bean, whisk a bajillion egg yolks with the milk, make the almond paste separately, later mix it all together — and it was ultimately too runny to fill the tart. I couldn’t pile it up in a thick layer. So I got a very pretty puff pastry with just a tiny layer of almond custardy stuff at the bottom. Next year I will try this one. Yes, that is another type of filling; one mixed with pastry cream, which is more work. Thank you for sharing this recipe – I look forward to trying it for friends and family. My husband and I prefer the gateau des rois / brioche (from the south west of France as you mentioned above). Would you have a recipe to recommend? Thank you and happy new year! I tried your recipe Gallette des Rois. A dreadful failure! I used exact quantities as in recipe but the filling refused to thicken in the fridge, it was quite fluid. I made the cake up anyway and sealed the edges really well – but it still sprung a massive leak, running over the edge of the baking tray! It tastes delicious all the same. The temperature was in the 30s (Celsius) today but I really had everything well chilled. Maybe next time I’ll try with less butter. I made this twice and the filling ratio is pretty typical for a classic crème d’amande (one part sugar, almonds and almond flour) that is used in a Galette des rois. I did make it a couple of times, the first when I didn’t chill the almond cream, but used it directly after I made it, and the second time, by chilling it first. Mine was the consistency shown in the photo. The spot where I showed with an “oops!” I’d missed sealing and some filling leaked out, but not much. Buttery, almond flavored. A perfect indulgence. Happy Epiphany! Happy New Year to you! I was searching for a recipe for this last evening et Viola !!! And this its not very tricky to make! Beautiful pictures as usual. Now to just pop over the border to France to get real butter puff pastry. Thank you for sharing and looking forward to your new book! Good luck! I much prefer that style to the southern style. We have a couple of bakeries here in New Orleans which make those now. Tonight being 12th night, there will be king cake parties here and the first krewes roll out – Phunny Phorty Phellows and the Krewe of Joan of Arc. Here, if you find the baby (or bean), it means you host next week’s king cake party, which continue until Mardi Gras day. And, of course, due to tourism, I see king cakes at the wrong time of year often now. I may try your recipe (but first must get past the flu). Thanks, David. This is the first place I looked for a galette de rois recipe. Merci beaucoup for posting this. We’ll be making this today and look forward to enjoying it. A good 2014 to you and yours. Perfect timing! We can find “galette des rois” in Houston but have to order, and it’s not round the corner of the street as it is in France! All ingrédients are ready to make one galette for to-night and thanks to you, the recipe has just arrived in time. January 6 is likely to come and go here in California and I will have neither an epiphany nor a galette des rois. thank you for your lovely pictures which will have to do this year. My 17-year-old son Matthew requested I make a galette des rois this year but I have been unable to locate the recipe I had from Lenôtre. I also had some idea that the Kings’ Day was on January 15. I see it is not. Hopefully Matthew has not noticed. I will get started on this tomorrow. It looks delicious! I can’t wait to try it :) Happy 2014! I am from The Netherlands. We here know this delicious galettes in mini format and can buy these almost everywere and anytime, at bakeries or supermarkets and call them “gevulde koeken”. They have the same format and the same ingredients are used to make them, but the almond sits in the middle of the “koek” on the OUTSIDE !! I don’t think there is one dutchman who does’n love “gevulde koeken” !! I also think this recipe was left behind when the French where defeaeted and left Holland after the french revolution !! 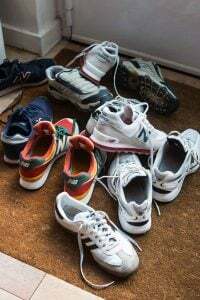 They left so many uses and still today we use so many french words in our language. In Portugal whoever gets the “feve” in the Kings Cake – bolo rei – has to buy the next one, but there is also a trinket. However health regulations seem to be taking away these traditional ingredients off the cake. This looks incredible! Almond is one of my favorite flavors of all time, and it would be to die for combined with puff pastry. Like a giant almond croissant! It looks absolutely delectable! I can’t wait to try the recipe. Thanks for sharing it and happy 3 Kings Day as we call it in Spain. Thanks SO much for this post. I love Galettes des Rois and have eaten them everywhere from Sydney to South of France, but mostly in my hometown, San Francisco. 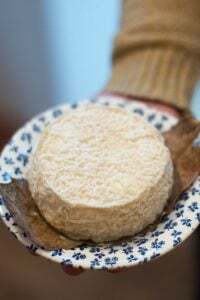 The best I have ever eaten was from a patisserie in Bergerac, SW France where the filling, in addition to the almond paste was Salted Caramel – divine. The worst I ever ate was the same year, at a friend’s home in Sigoules, just outside of Monbazillac, sweet wine from which by the way is wonderful to drink with a galette, she brought something to the table that resembled a panatonne gone very, very wrong – studded with fruit that reminded me of canned fruit cocktail from the bad old days, with undefinable pieces of vibrant green and over the top red ‘fruit’ bits. That year, we were feted to slices of galette everywhere, including the lobby of the Mercure hotel at the Bordeaux airport, which was very very good. I have a nice collection of feves and here in San Francisco La Boulangerie has its own feves celebrating San Francisco and itself – sold with not in the galette – who wants to be sued for an accidentally swallowed feve ! Pithiviers are one of our favorite desserts. One of our trips to France we made it a point of staying in the town of Pithivier thinking there would be all these patisseries and cafes selling them. Only two bakeries and neither sold them and the clerks didn’t know what we were asking for! Things must have changed considerably since I lived in Paris, because back then you bought a gateau des rois, but nobody actually ate more than a bite or two, they were so vile, you just crumbled through your slice to see if you had won the feve or not. They were certainly not considered a delicacy, and I was really surprised to read they were so popular nowadays. I love galettes but this year I went for the southener’s Gateau des Rois in shape of a crown and stuffed with candy fruit: I have blogged about it yesterday and also about your yogurt cake that I love! Thanks for a very informative site. I am surprised to hear you fear to get sued in America since I have never heard of anybody actually swallowing the feve… We share galettes every year in the UK and no suits yet! In my experience most frangipane filling turns out very oily due to the equal amounts of butter, sugar, almonds and eggs. Often there’s a pool of melted butter at the bottom after baking! I came to use 80g butter, 50g sugar, 150g ground almonds and 2 eggs instead of the equal ratios. Do you have the same experience David? I did make one with 25% more ground almonds & found the filling less unctuous, so dialed it down to the amount shown. Some recipes in France have you add a spoonful of corn starch to the mixture, but I didn’t find it necessary. Thank you for this recipe! Just pulled it out of the oven! Splendid! Had to go to 3 different groceries to find puff pastry dough made with butter (the local food co-op had one with palm oil!?) The fragrance is intoxicating – the orange/almond combo is a winner. Decided to go with a toasted pecan for the fêve – no teeth will be harmed in the eating of this magnificent pastry. Does this ever bring back memories! I made this 28 years ago while living in Geneva and not only was I impressed with my accomplishment as I made the puff pastry myself, but it was delicious. Love this recipe! It was surprisingly easy to throw together. I buried a shiny new $1 gold coin into the filling. The only problem I had was in handling the puff pastry. I used Pepperidge Farms puff pastry and was woefully unsuccessful in patching together the fold seams. It all looked quite perfect when I put it into the oven, but the fold seams came undone when the pastry started to rise. The end product came out looking more like puffed up sea creature with its tongue sticking out. (Major blow out!) Still, you just can’t go wrong with puff pastry! It browned to perfection, filled my kitchen with heavenly perfume and will undoubtedly impress my classmates when I bring it to this evening’s French class. (It looked much better after I trimmed off the escaped filling.) My first ever Galette des Rois may not look like any other, but it certainly has tons of personality and both the taste and texture are phenomenal! Will definitely make this again! Great recipe idea. Had a square of puff pastry left over from the holidays and wanted to do something different with it….now I can! I love your blog…look forward to every one! This looks wonderful.I am the baker of the New Orleans-style King Cake for our Mardi Gras parties every year here in North Carolina but I’ve never tried this one. If I introduce this to the crowd, I’ll be in trouble! How do you flute the edges of the Galette? With your fingers? Thanks! Hi David! Greetings from the hills of Kentucky. I am a long-time reader of your blog, and I have made many of your wonderful recipes to great success. I think I have done something wrong with this one–I followed your instructions dutifully, but when I baked the galette, the butter seemed to melt and pour out into my oven! Any idea about where I went wrong? Should I have chilled it longer before popping it into my oven? Matt: I made it twice this weekend and didn’t have problems. Was it the filling or the pastry that leaked butter? I don’t always chill them before baking but did the second time and recommended it in the recipe. You could chill it longer, but am not sure why butter would leak out. I’ve seen some a few frangipane recipe that have a sprinkle of cornstarch in them, but I’ve never used it. Thanks for the reply David–I think I have figured it out! It looked like just butter, but it WAS filling, so I think that I didn’t have a good enough seal on the edge at that point. I also found that my oven is running a little cool, and when I tried it again (just now, actually!) it was perfect with a temp adjustment and more care sealing the edges. I have to say, both were delicious! My husband Walt made a galette des rois yesterday and posted about it on his blog. He uses less sugar and only one egg for the same amount of powdered almonds in making the filling. And he said he needed to turn the oven up extra high so that the pâte feuilletée would cook golden brown without exuding butter. Here is a link to his post. Awesome post and recipe; thank you and Happy New Year! I had my first and only King’s Cake 13 years ago while learning of the tradition from a New Orleans’s native. 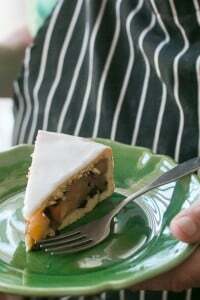 The cake was made in the southern style but this recipe sounds so good–what’s not to like about almond filling and puff pastry! Here in Idaho USA I haven’t found them in our bakeries but I’m very willing to try your recipe so off to the store I go. So different from the New Orleans style cake for the same day! Never knew there was a proper cake to eat January 6th, but growing up it was the proper day to take your Christmas Tree down…. One of our favorite restaurants in New Orleans makes a decadent version of the yeasted cake. Salted caramel, Italian caramello, marscapone, fresh bananas, candied pecans, and gold leaf for decoration. It’s a little over the top but gorgeous. I love the simple elegance of your version. 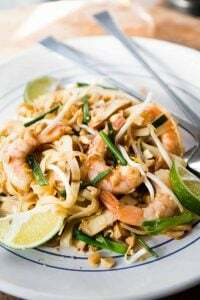 Outstanding recipe – – my spouse made it yesterday for my B-Day and it looked exactly like your picture (not any more – – half gone). We both really appreciate all the time and effort you put into our favorite website-newsletter; great books and Paris Pastry app. Your recipes are spot-on, and we love your dining tips and humor!! This is an amazing cake – my first time making it and I even ground my own almond flour. a good friend had given me some Tangelos off her tree and the zest from it almost made me swoon ! More to my surprise is that it came out just like the photos and my husband and son both like it ! Thank you for presenting it with instructions that made sense.. It was my Birthday cake, finally one I like !!! Hmmm…..No creme patissiere as part of the almond cream? I mentioned in the 3rd paragraph that some people enrich the almond cream with pastry cream. One could certainly do that although you would only use about 1/4 cup of pastry cream and as mentioned, not sure how many people want to make a special batch of pastry cream for that purpose. Lovely pics and descriptions! I’m making one this weekend and plan to use a cranberry for the magic bean. It will be a surprise but not a shock to anyone’s teeth. Thank you! I envy your life and am grateful you share so much of it online. P.S. I’m from Seattle so I gotta say it: Go Seahawks!! What a marvelous post! Some day–maybe–I will take the time to prepare this glorious Gallete des Rois. Thanks for giving all of us the recipe! Here in Mexico, Rosca de Reyes sounds very similar to the other version of French King’s Cake. The tradition here is that whoever gets the figure of the Baby Jesus in his or her slice of rosca throws a party on the Feast of the Candelaria (February 2) and buys or prepares tamales and hot chocolate for all the guests. This year, four of us ate a small rosca, each of us actually hoping to find the figure of the Baby Jesus in her slice. There was one tiny slice left over. Three guesses where the baby was! NOBODY has to give the party. Thanks again for a wonderful read, David. Worked beautifully for me. Thank you so much. 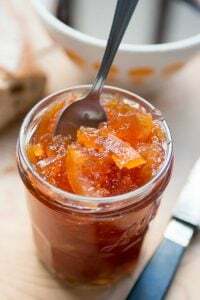 This gave me great memories of my French aunt’s cooking and customs (am English and live in the US) and all the wonderful food that she used to cook for us! Used US’s Pepperidge Farm puff pastry, which enabled me to make it that much qucker and is a great stand-in, although not what one would expect in the best gallette des rois. Merci! A P.S. to previous quote: put two almonds in the gallette that I made: put them at north and south in the gallette, and gave those slices to my 10 and 12 year old sons; and surprise, one was the king for the day and the other enjoyed being the queen! I will make another one in the morning 5.30am to take to work for a work colleague’s birthday, hoping that she will get the almond too. Great fun to make and eat! What a great recipe and presentation, filled with useful tips. 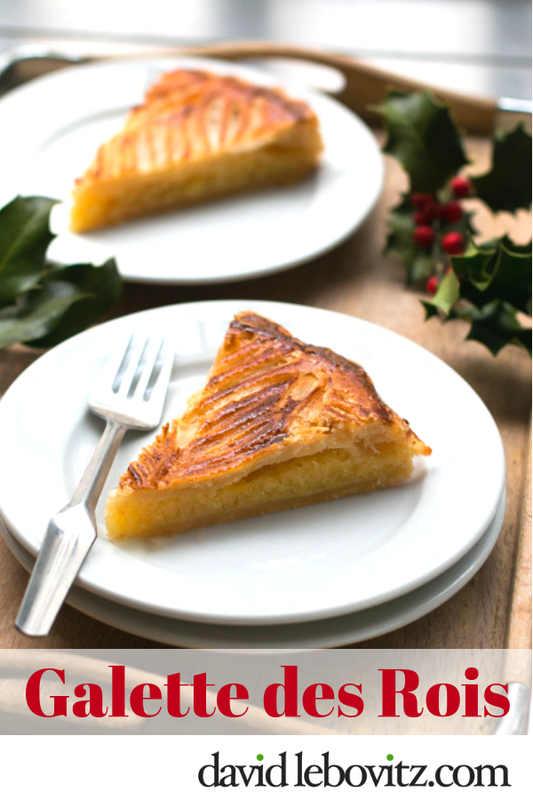 I’ve never thought of making a Galette des Rois (too complicated!) but after reading your recipe I’m now inspired to do so. I also appreciated the photo of exactly how to obtain the scalloped edge. If purchasing one, I suggest buying only from a high quality patisserie‎ or you may get one made partly with oil. It’s just not the same; the same goes for the mass-produced ones sold in supermarkets. All I’ve been hearing from my French husband since the Feast of the Epiphany is that we have not had our Gallettes des Rois yet. Thank you for posting this recipe. I can now make this for him and hope that he becomes the “King” for yet another year. By the way, you’ve been making both of our lives better with your fabulous recipes. I’m having fun making as many as I can. Ciao Ciao for now. My first galette des rois had all sorts of problems, but I am pleased to report that my second one was absolutely beautiful, thanks to the many helpful tips and suggestions offered by those who posted comments. I eliminated the problem of “filling leakage” by adding 2 teaspoons of corn starch to the almond filling. It didn’t change the taste or texture at all. Just helped everything stay together during baking. I also followed Susan Cameron’s excellent suggestion of patting the filling into a circle about the size of the galette, wrapping it in plastic wrap, and letting it freeze before assembling the galette. Brilliant idea! I found it MUCH easier to place the top piece of puff pastry over the frozen filling and decorate it before baking. For my second galette, I also employed the “slow method” of thawing the puff pastry (i.e. putting it in the fridge overnight), which resulted in a more pliable dough. I wet and pinched the fold seams thoroughly to prevent them from bursting open during baking. And I chilled the puff pastry at two different stages before actually putting the cake in the oven — first after rolling and trimming it to the proper size and then again after assembling and decorating the galette. The end result was picture perfect!